Barnes & Noble Press is a self-publishing service from Barnes & Noble. It was previously called Nook Press. It can be used to publish ebooks and print hardcover and paperback books. They do not require exclusivity. Barnes & Noble Press competes with Amazon's kdp and other self-publishing services. Some of these other services can also get your book listed on bn.com. 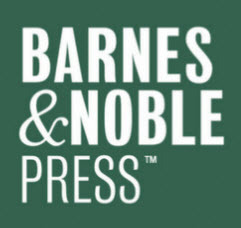 Nook Press was renamed Barnes & Noble Press from Nook Press in early January 2018. The relaunch includes a new user experience, new visual design, additional print book trim sizes, glossy covers, color printing options, author tools and more. They also increased the royalty rate for ebooks price $10+ to 65%. Nook Press users were automatically transferred into the new system. THe new system also unifies ebook and print publishing. It won't take long for your book to be available to readers once you have uploaded it. Barnes & Noble says it takes about 20 minutes to create and account an upload your book. It will then be available on BN.com within 72 hours of publishing. Barnes & Noble offers authors 65% off ebook sales for ebooks prices between $2.99 and $199.99. They offer 40% off books priced between $0.99 and $2.98 USD. The print book royalty rate is listed as 55% of the list price minus the book printing costs. You can schedule pricing changes in advance with the service. Barnes & Noble Press includes access to sales data for your books. B&N says the sales reports include daily data and in-depth sales report. The reports include sales by week, sales by year and pre-order reports. 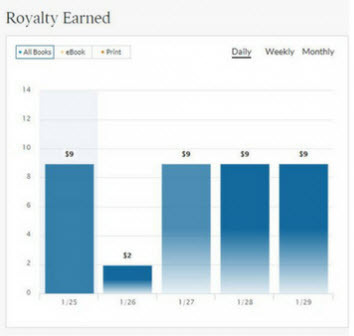 There is also a 30-day sales report for individual books. B&N added this report in April. Barnes & Noble Press has a helpful page on cover design here. It includes tips on contrast, repetition, alignment and proximity. B&N also team up with a company named 99designs. They will help you format and design your cover for a fee. Barnes & Noble says it features B&N Press books in emails and online sales and promotions. They also say if you sell over 00 copies of a B&N Press eBook in 12 months you are eligible to host a store event. If you sell over 1,000 copies of a B&N Press eBook you are eligible to pitch your ebook to B&N store buyers. There are more promotional tips here in the B&N Author Tools and Tips section. Be sure to also read our article on ebook marketing and visit our book promotion site. Barnes & Noble Press replaces Nook Press, which was launched by Barnes & Noble, Inc. in 2013. Before Nook Press the company had a self-publishing platform called PubIt. The Nook Press site now forwards to the Barnes & Noble Press site.